[Atomic force microscope] Daido Bunseki Research Inc. 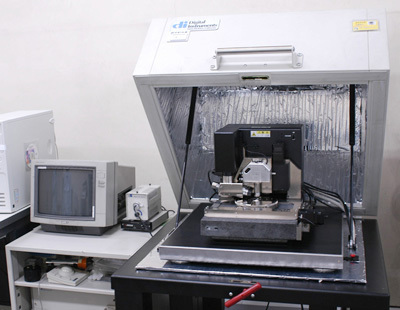 Principle A sample surface is scanned with an ultrafine probe, the atomic force working on the probe and the sample surface is converted into electrical signals, and then the sample surface can be observed at the atomic level. Usage With the atomic scale, a 3D image of the sample surface is obtained, and the roughness is measured.